Recipe from Candace Matthews, President & General Manager, SoftSheen-Carson. With a little luck, you don't even have to be Irish to feed your family and guests this one-dish dinner. 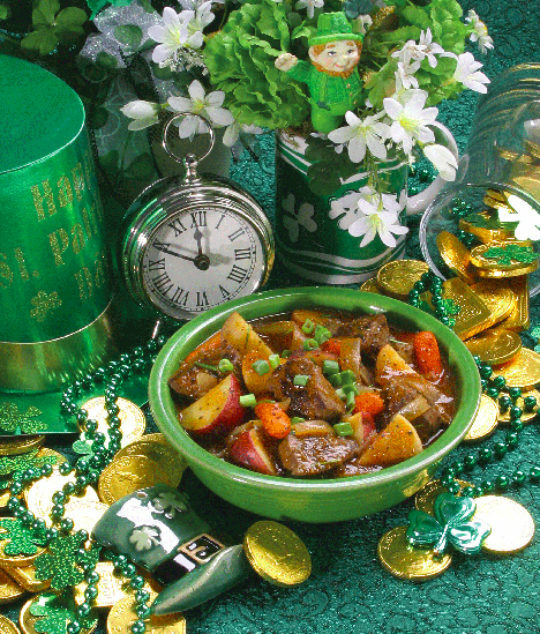 Make this delicious pot at the end of the rainbow and the raves will be golden! Combine all ingredients (except the cornstarch and water) in a slow cooker and cook on low for 6-8 hours. Combine the cornstarch and water in a bowl and stir into the stew. Cover the slow cooker and allow the stew to cook an additional 10 minutes, until thickened slightly. Each recipe yields 6 servings.